The record-setting heat that blanketed the planet this summer was a sticky reminder that as global temperatures increase, people on the margins of society—the sick, the elderly, and the poor—will suffer disproportionately. And, nowhere will this suffering be more acute than in India. Poverty entraps more people in India than any other country. With some 270 million Indians (PDF) living below the World Bank's poverty line of $1.90 a day, escaping the elements has never been easy. Now, climate change and extreme weather are making it impossible. In cities, the poor must contend with the effects of “heat islands”—developed areas that trap the sun's warmth and make temperatures significantly hotter than in rural regions. 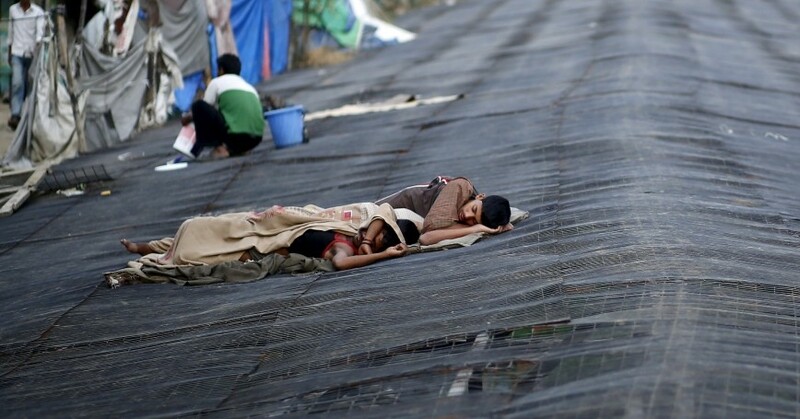 During heat waves, urban temperatures in India can be extreme even at night, making sleeping agonizing for those without proper shelter or modern cooling methods. But life is no easier for India's rural poor, who are more vulnerable to extreme heat because they often lack access to water, electricity, and health care. Based on research that I conducted with colleagues at the RAND Corporation, Emory University, and health departments in India, impoverished communities in central India are at the highest risk, as are populations that are less educated and have fewer amenities. Our country-wide index shows a strong correlation between low-income status in rural areas and heat vulnerability. Unfortunately, the perils for the region's poor are mounting. According to a recent report by the World Bank, some 800 million people in South Asia currently reside in areas where rising temperatures and erratic rainfall are threatening livelihoods and reducing living standards. If these trends continue, the goal of ending extreme poverty—one of the top objectives of the United Nations 2030 Agenda for Sustainable Development—will remain elusive. Many rural Indians withering under the heat now see urban migration as their best option. But this, too, will fail to bring lasting relief. Although jobs may be more plentiful in cities, India's largest metropolitan areas are already bursting; adding millions of climate refugees to underdeveloped slums and shantytowns would be catastrophic. 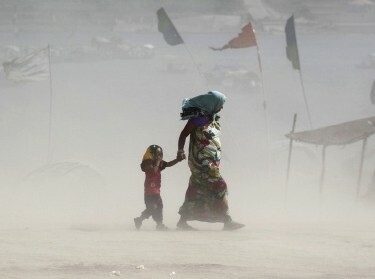 To avert this new crisis, the Indian authorities must recognize that with heat risks rising, the country's poor—urban and rural alike—are in desperate need of climate-adaptation strategies. Technological solutions are also worth exploring. For example, medical researchers in Bangalore have created a battery-operated cooling jacket designed to protect people who must work in the heat. Of course, with a $27 price tag, the device is beyond the means of most of India's poor. But other solutions—including installation of solar panels to power cooling systems, and wider use of “green” roofs to help deflect heat (PDF)—would be easier to scale up. 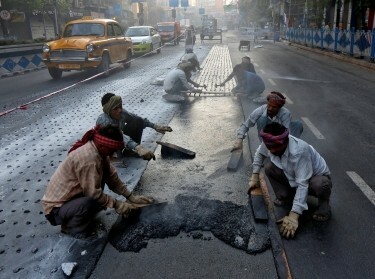 But the most consequential change of would be to give India's poorest a greater voice. Too often, people working to end poverty are unfamiliar with the conditions in which the poor live. For climate-resiliency programs to be effective, the target audience must become part of the solution. Despite years of dire forecasts, the international community has been unable to halt the steady climb in global temperatures, and it is the world's poorest who are paying the heaviest toll. As heat-related risks intensify, those living on the margins—in India and elsewhere—will need more than pity to cope effectively. This commentary originally appeared on Project Syndicate on October 11, 2018. Commentary gives RAND researchers a platform to convey insights based on their professional expertise and often on their peer-reviewed research and analysis.